General Manager - Gold Star Real Estate Ltd I am a third generation real estate salesperson who has held a variety of sales roles with Seiko Australia Pty Ltd, Reebok (NZ) Ltd and Holdfast Ltd before embarking on my real estate career in 2001. 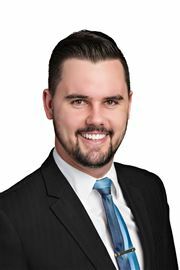 I worked for Ray White Hamilton as a salesperson and team leader from 2001-2009 and Lodge Real Estate, Flagstaff, Hamilton as Branch Manager 2009-2015. Lodge Flagstaff was the Number 1 office in August 2016 and Number 1 office for the quarter before my departure. Achievements Trust in excellence from my achievements and sales results: • Rookie of the Year 2002 • National Executive Member 2003 & 2006 • National Premier Member 2004 & 2005 Qualifications Good information allows for good decisions and I believe it is essential to continually improve my knowledge. With this goal in mind I have completed the following: • Advanced Diploma in Management 1997 • National Certificate in Real Estate 2005 • Branch Manager 2006 • National Diploma In Real Estate 2007 The next step for me was to become a franchise owner. 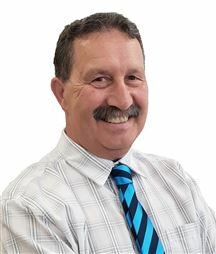 I am proud to be the business owner and General Manager of Gold Star Real Estate and our four offices - Harcourts Thames, Paeroa, Waihi and Waihi Beach. My goals are to support and assist the offices continue to strengthen and grow in their regions. I am most proud of the community spirit and involvement, family values and integrity of each and every member of your local Harcourts Gold Star Real Estate office. 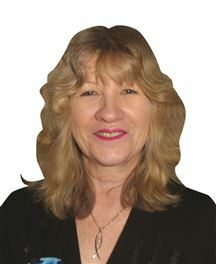 I bring to Real Estate a variety of experience mostly involving customer service in wholesale, retail and social support. I have a genuine interest in understanding people and listening to their needs and wants. I am a keen home renovator, 6 houses so far, with sales experience in the building and hardware trades. As such I understand many practical aspects of home ownership, DIY, materials, lifestyle block care, gardening, can see potential in a property and have a good sense of colour and design. I enjoy getting to know people and the Yhames community. I also enjoy being a host mother to Japanese students and Airbnb guests which softens ‘empty nest syndrome’ as my two children are young adults now. I have lived in New Zealand since I was a child and was born in Kenya, love scuba diving and fishing, pub quiz and bush walking. 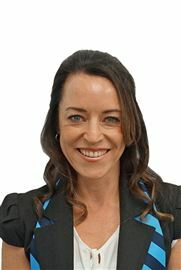 I am looking forward to being the ‘Gold Star’ that assists you to buy or sell your property with all the professionalism that Harcourts offer. Kristin’s career in Real Estate began in 2009 starting out as an Office Administrator, then taking on an additional role as Sales Secretary, both very rewarding roles. 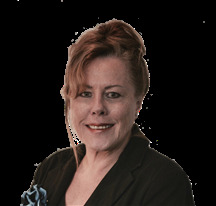 Kristin then moved to Property Management where she enjoys the challenges each day brings. Kristin strongly believes exceptional customer service and great communication is essential for all parties, both owners and tenants. In her twenty-second year in Real Estate every day is as enjoyable as her first year. Alaine has built a strong group of professional consultants teamed up with a reputable property management team. 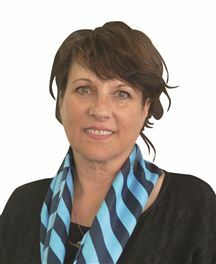 Alaine is very passionate about creating a positive team environment, living by the Harcourts values of putting people first, doing the right thing, being courageous and having fun and laughter along the way. Attitude and professionalism are also key drivers for Alaine and her team. Community involvement and support is important to Alaine and as well as sponsoring a number of sports and community groups, Alaine encourages her team to actively participate in local events. She believes that her team being involved in the community boosts their morale and creates positive energy, key to the business’s success. Alaine is excited to have expanded the Thames based business into Pauanui with an office and small sales team now up and running in the beach side town. Alaine is proud to have enthusiastic and experienced sales and property management teams that are focused and driven to get results. Whether you are buying or selling she is confident that she has the right team to work for you to achieve your real estate goals. Rent Money Is Spent Money! A solid bet & your next move! Looking for a large section? Throw away the car keys! Price Reduced - Comfort Isn't! Great Opportunity to Buy Well. Step Inside & Be Impressed. Sheer Delight in all Respects. Show 'n Tell, Done Well. Coastal Catch in Thornton Bay! There's Room For All The Toys. Is Mexican Style Your Style? Has it all .... And then Some! Close To All That Matters! Brand New - Ready For You! When The Price is Right! Sun Sea Views and location. A Good Fit For Families! A home with many options! Opportunity! Who will take it? Feels like home! Take a Bet! How Soon Can You Move???? It's time to LET IT GO! A view for all seasons! Step up and make your mark! So when do you want to build? Big On Size...Small On Price! Splash out - a shore winner! Unit on the Flat in Town! Close to the sea—for under 3!! You Just Can't Beat It!